Today marks the 25th anniversary of that magical World Cup win for Pakistan. After all these years, I have that day (and the days leading up to it) engraved in memory. No one expected Pakistan to be in the Final in 1992, let alone win it. 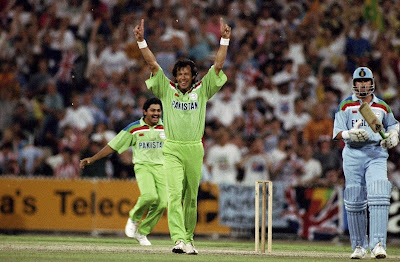 It was a typical Pakistani comeback and win, a win against all the odds, a win when no one expected it, a win that placed Pakistan at the top of the world. Around the middle of the World Cup 1992, I remember Newspaper headlines saying "Pakistan going home early", "Pakistan's World Cup chances over", "Imran Khan's dream ends". 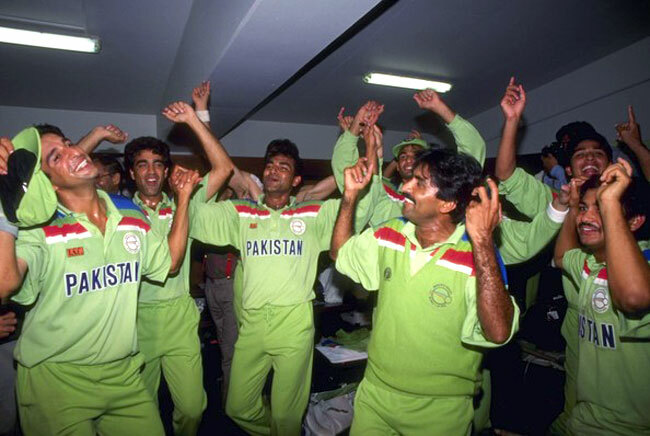 Everyone thought Pakistan's World Cup campaign was over. Except Imran Khan. 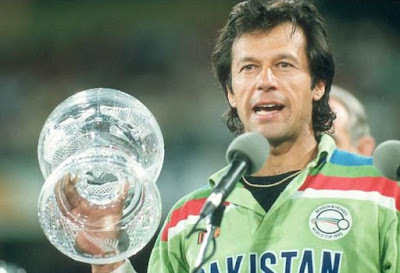 He kept saying that this World Cup was Pakistan's. 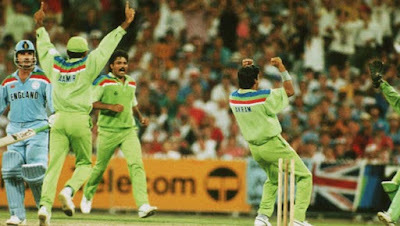 It is quite possible that because of that improbable World Cup win (and Miandad's 6 in 1986) that some Pakistan cricket fans today still believe that the impossible is achievable in every game Pakistan plays. The passion still burns with abundance fire! 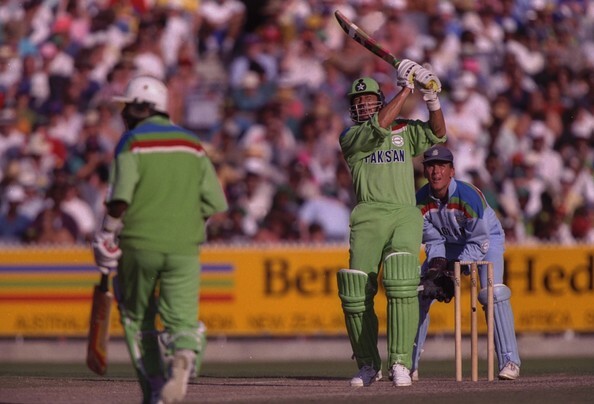 I remember the day before the final in 1992. 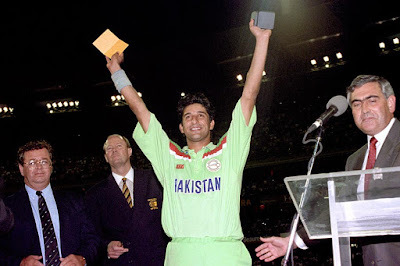 After coming back from school, I begged my parents to let me skip school the next day, a Wednesday (25.03.1992) so that I could watch the final. I don't think I have ever asked my parents to let me skip school with an honest reason. It was always "pait ka dard"! But this was cricket. It was the World Cup. It was the Final. 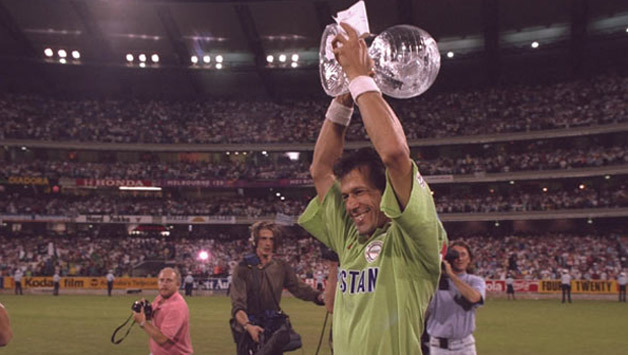 And it was Pakistan! My parents firmly said no. The match was supposed to start in the morning around the time I would leave for school. I begged and cried to no avail. I went to bed that night sulking thinking I'll miss Pakistan's most important cricket match ever. 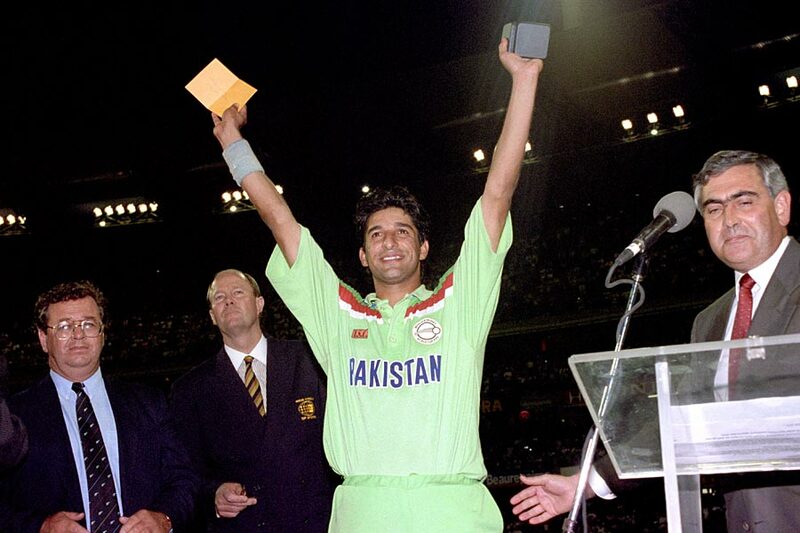 As on every other school day, my mother woke me up on the morning of 25th March 1992. As I glanced towards the wall clock, it was past the time that school would start. I don't think I have ever woken up happier. I don't know which one of my parents decided that I could skip school that day, but I did. As did my brother. My father skipped work. As did many of his friends, a lot of whom were over at our place in Abu Dhabi, ready for Pakistan's biggest game ever. 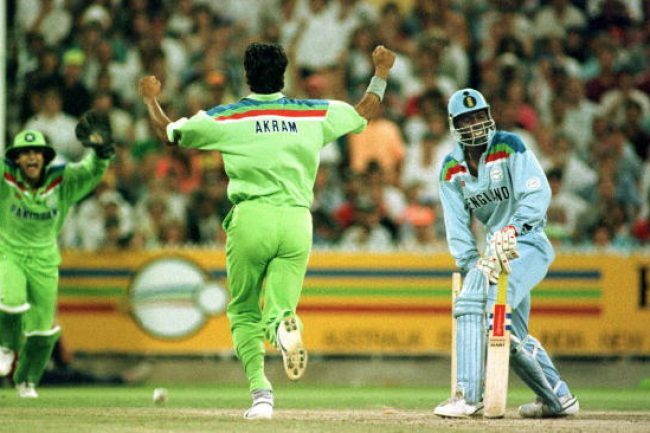 We were all glued to Channel 33, the lifeline of Television in the UAE in those days; it provided all of our entertainment from cartoons, to soap operas, comedy shows, Bollywood movies, Wimbledon finals, and now the final of the World Cup 1992. ... everything, absolutely everything is engraved in memory even today. 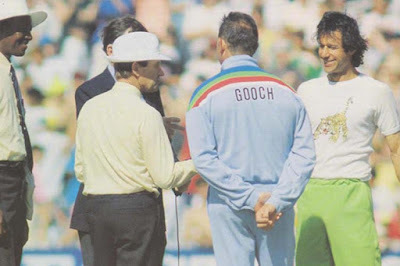 I even remember the scorecard of the match! There was no internet back then so we had to wait the next day for the newspaper to land at our doorstep to read all the coverage. I still have the front page of Khaleej Times from the morning after, 26th March 1992. Pakistan was indeed on top of the world. It has been 25 years, but the memories are still fresh. It was an unforgettable day! 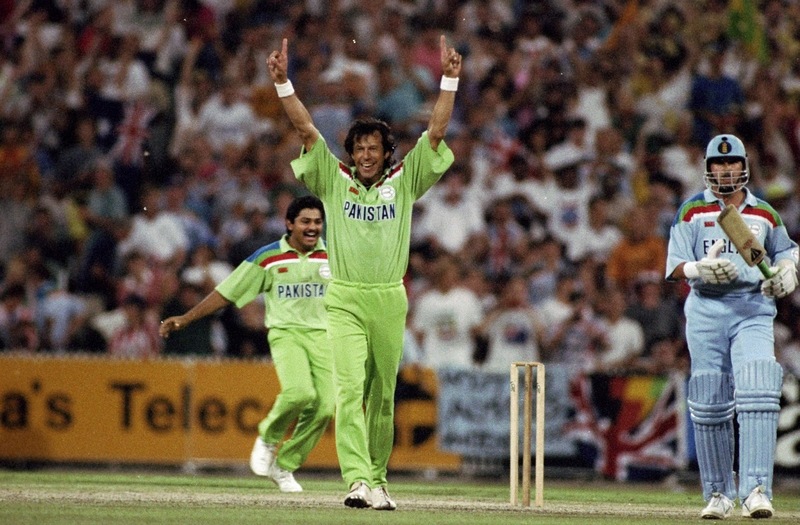 Pakistan's most memorable day of cricket!